It’s been one heck of ride over the last year for us at Heartspark Press. We’re now busier than ever before, and this is just the beginning. We’re starting to get funding! In June, we received two big grants for our work in supporting trans women and (C)AMAB non-binary creatives. The Social Justice Fund NW awarded us with a seed grant of $2000! Starting in September, executive board member Luna Merbruja will be hosting The Trans Freedom Workshop, our first six-week-long writers workshop for transgender women and trans femmes of color. The seed grant is also funding us towards getting our 501c3 status, so we can continue this work in a more sustainable way. 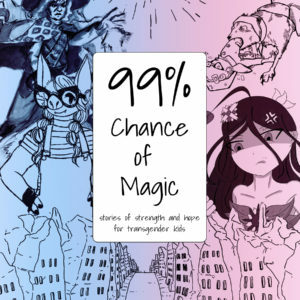 Our friends at the Trans Justice Funding Project also awarded us with a $2500 grant to pay our writers working on 99% Chance of Magic, the first children’s anthology for trans kids that is written and illustrated by (C)AMAB trans and non-binary creatives. 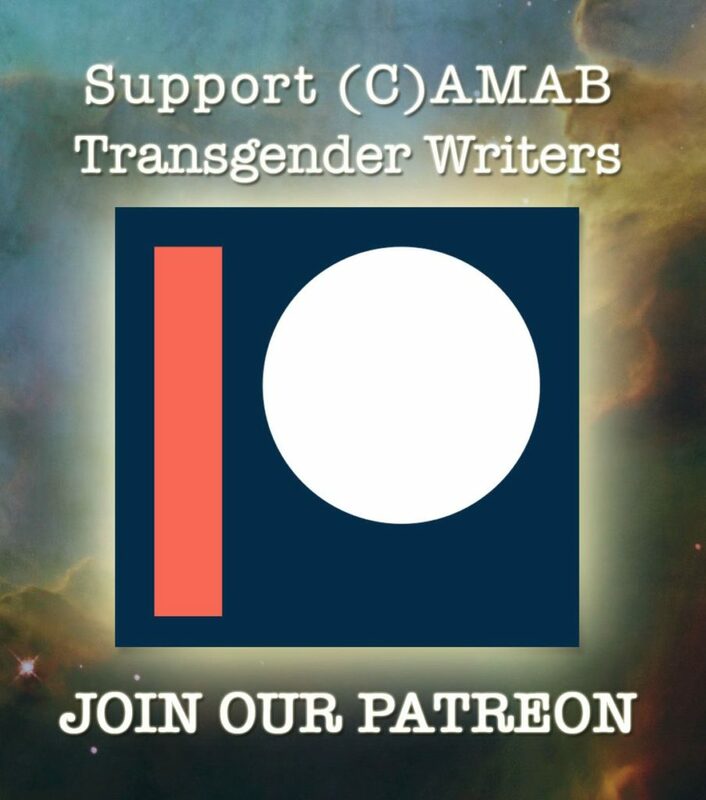 That money went directly into our writers’ pockets, and we are so excited to have the opportunity to pay trans people for their creative work. What a whirlwind of a journey this has been, and it’s only getting started! 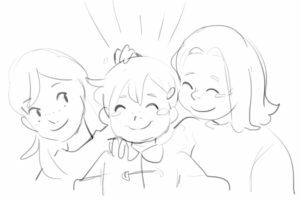 We’re firmly on our way to finishing 99% Chance of Magic in the Fall! Our writers are almost finished with their final drafts, and the illustrators are submitting their final artwork to take to print. Some of our creatives include Abbey Darling, Angel Sera, Sybil Lamb, Mia Rose Elbo, Misha Lynn Moon, Duna Haller, Harris Jones, Michlle Gannon, Jeanelle Tabaranza, and more. We’re on track to launching our collection in October 2018, so stay tuned for more details as they emerge. 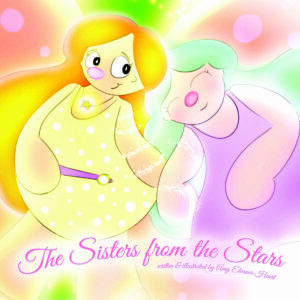 On September 21, Heartspark is launching its second children’s storybook for transgender kids and self-identified weirdos: The Sisters from the Stars. 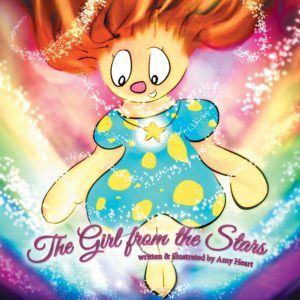 Sisters takes place four years after the events of Amy Heart’s The Girl from The Stars and explicitly features a transgender girl as the main protagonist. 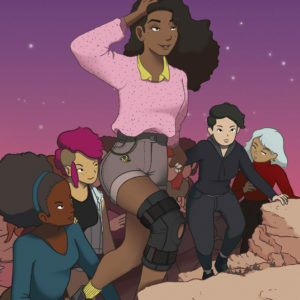 The Sisters from the Stars joins a very shortlist of books written and illustrated for trans kids by a transgender woman, and we are so proud to continue breaking those barriers. To learn more about Sisters, click here (or even pre-order it today). Our press was invited to perform at San Francisco Dyke March this June, and our Luna Merbruja and Amy Heart were up for the challenge! They performed a fifteen minute set to a crowd of over 2,000 people in Mission Dolores Park. Check our Amy and Luna’s performance on our Performance Archive at https://archive.org/details/AmyAndLunaAtSFDykeMarch. 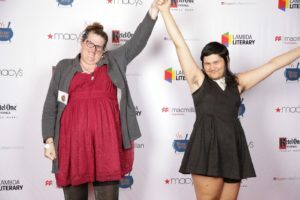 While Resilience didn’t win the award for Best Transgender Fiction, our press was incredibly honored to be nominated and represent #girlslikeus at the 30th Annual Lambda Literary Awards! Resilience editors Sugi Pyrrophyta and Amy Heart traveled to New York City for a wonderful evening at the NYU Skirball Center for the Performing Arts. There’s nothing quite like seeing the book that you labored and loved up on a big stage. Thank you again to everyone at Lambda Literary for believing in our little dream and giving our work recognition. Well, that’s all for now. We’ll have an update on the launch of our upcoming Writers’ Workshop in the near future, so check back soon for more details!